I lost 2015 election to President Buhari because US, UK and others supported him, says GEJ – Royal Times of Nigeria. 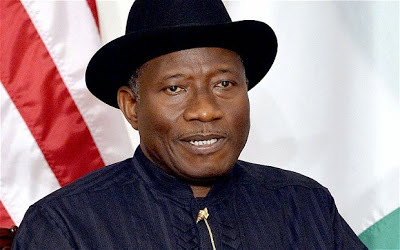 Former President Jonathan said he lost the 2015 general election to President Buhari because Buhari had support from former US President Barack Obama, ex-British Prime Minister David Cameron and outgoing French President Francois Hollande. In a book titled, “Against The Run of Play” which is set to be launched in Lagos on Friday, Chairman of ThisDay Editorial Board, Olusegun Adeniyi, quoted Jonathan to have said that the world leaders worked towards aiding President Buhari win the 2015 election. Jonathan was quoted to have said; “President Barack Obama and his officials made it very clear to me by their actions that they wanted a change of government in Nigeria and we’re ready to do anything to achieve that purpose. They even brought some naval ships into the Gulf of Guinea in the days preceding the election. “Go and check the results from Kano. The Presidential election and that of National Assembly happened on the same day and same time. The National Assembly result reflected that about 800,000 people voted but that of the presidential reflected a vote of about 1.8 million. I had reports of what happened but I decided that for such to be accepted, it meant that those who called themselves my supporters must have colluded. I was betrayed by the very people I relied on to win the election. On his Fight against corruption, Prsident Jonathan said he preferred investigating any of his officials acused of corruption before sanctioning them. According to Jonathan, he ordered an investigation into the allegations that former Minister of Aviation, spent some public funds on the purchase of BMW bulletproof cars. Jonathan said after Oduah was investigated and indicted, he relieved her of her job, a situation that has caused her to hate him “I have been told that I should have made scapegoats of some officials so I would be seen to be fighting corruption, I usually subject them to investigations. You know Stella Oduah played a prominent role in my campaign in 2011. But when the investigation I ordered was carried out and the indictment was confirmed, I had to relieve her of her position. “Up till today, Stella hates me for her removal. No doubt, it was a very hard decision for me to take because I see her as a friend as I take all the people who work with me, but that was what leadership demanded. We live in a country where people fabricate stories about even those they don’t know, where rumor mongering is a national pastime. I have heard stories about me that I find very shocking, stories that are untrue”. Therefore, as a leader, it is my responsibility to verify stories before I act. That is why I am deliberative in what I do. The main problem I had was that the media and the civil society had conspired against me”.